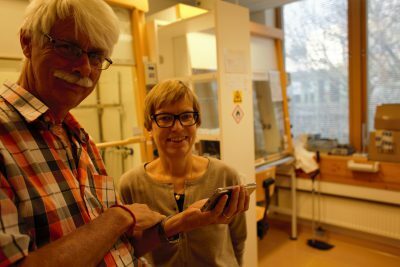 In February 2019 it’s time again: then Ulla Eriksson and Michael Strandell, both at ACES, will travel to Asia to conduct a three-week course in environmental chemistry for students, doctoral students and teachers. The aim is to increase knowledge about analytical methods and laboratory engineering – which in the long run can help strengthen society. This time, the education takes place at the University of Vientiane, Laos. “It will be the seventh time that we conduct the course together”, says Michael Strandell, chemist, who since the late 1990’s has been committed to donating used laboratory instruments to various universities in the world and showing how to handle them to strengthen the knowledge of chemistry and which analytical methods that can be used for research. 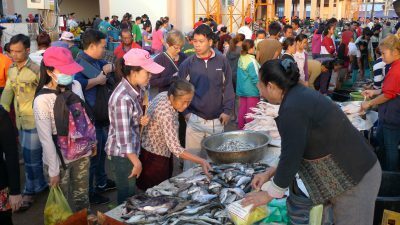 “When we were in Cambodia in February 2018 we conducted laboratory work where we examined the hormone-releasing substance bisphenol A in receipts and analysed how much pesticides could be found in fish, vegetables and sediments. The purpose is to share our knowledge about teaching methods, but also to provide a way of thinking. It is important that knowledge connects with doing and analysing”, says Ulla Eriksson, research engineer. The course takes place once a year and is hosted alternately at universities in Cambodia, Laos and Bangladesh. The background to the entire education project is the contacts that existed between ACES, previously called ITM, and the University of Riga, Latvia, in the 1990s. Michael Strandell was asked if he could help with the installation of mass spectrometers that had been donated to a laboratory at Riga University. For example, the instrument is used to identify different environmental pollutants and to see the concentrations in which they occur. “As a result, for some years I was involved in showing how teachers and doctoral students could handle the instruments manually”, says Michael Strandell. “They said yes, and promised in return to pay the shipping of the instruments and my ticket”, says Michael Strandell. The first years, the project was supported by the Catholic organisation Maryknoll Sisters. From 2010, they have been supported by the International Science Program, funded by Sida that provides support for higher education and research in natural science in developing countries. The project has also been supported by ACES. 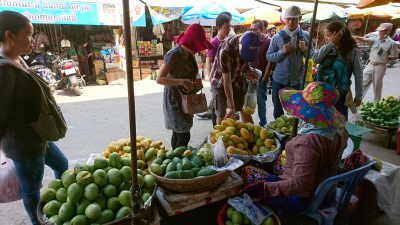 “In Cambodia, virtually all university teachers had gone away since the genocide 1975-1979. This meant that the situation was a bit ‘you take what you get‘”, says Michael Strandell, who initially focused on showing how the instruments worked. Ulla Eriksson, who has worked with this for a long time, joined the project in 2011. She has noticed that the chemistry education in all three countries where they have conducted courses have lacked practical laboratory work. “Teaching has often been based on that the teacher shows something and the students watch and memorize. The students shall learn the correct answers by heart and then be able to repeat them. But to really get the opportunity to perform laboratory work by yourself and analyse and interpret the results, such elements have not been part of the courses”, she says. The idea of the course is therefore to teach both theory and practice. 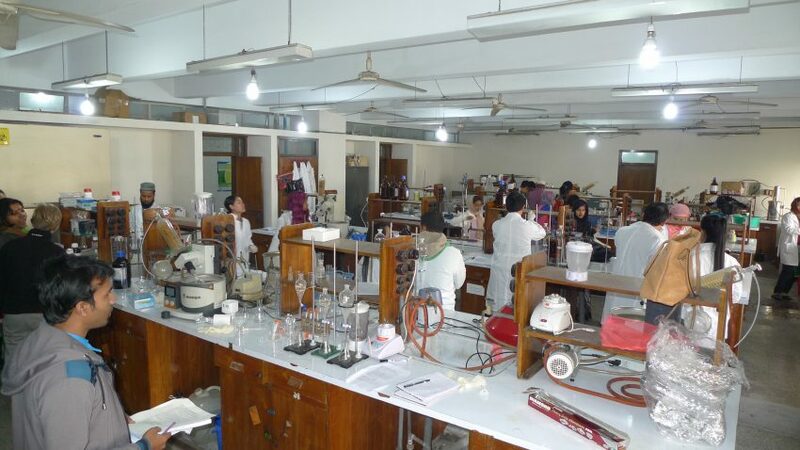 The structure is to mix the theoretical sections with four laboratory work and a field trip. The group usually consists of around 18 participants, a mix of students, doctoral students and teachers from all three countries. “We usually have 100 percent attendance, and many of the participants like the field work. We usually go away and collect vegetables, fish and soil samples that we analyse in the laboratory”, says Ulla Eriksson. In the laboratory work they look for different environmental pollutants. “In all countries there are a lot of pesticides, so we usually find something in our samples. But PCB is an industrial product, so there are not so many traces of it in the countries where we have had the course. In the western world there is more”, says Ulla Eriksson. The exercises in the laboratory and the art of handling data is a challenge for many of the participants. “A lot of questions arise during laboratory exercises. We rarely say ‘this is how it is’, but instead want them to interpret the results themselves. At first, they are a bit uncertain, but I usually ask: ‘What do you think?’”, says Ulla Eriksson. “After three weeks of teaching, my opinion is that the participants have learned a lot, many get a job later in the pharmaceutical industry or as teachers. As an employee of a Swedish university, it is good sometimes to move outside of your comfort zone and contribute to the society elsewhere”, she says. “In Sweden you can easy get a little lazy. In an environment where lots of resources are missing, it can sometimes be frustrating, but it also means that you have to be very creative. Both remember a course in Cambodia where someone had disappeared with the only key to the laboratory. “For a week we had to climb through the window to get inside, but that worked as well”, says Michael Strandell. The resources for conducting courses will last another two years, then the future will show if there will be a new round.